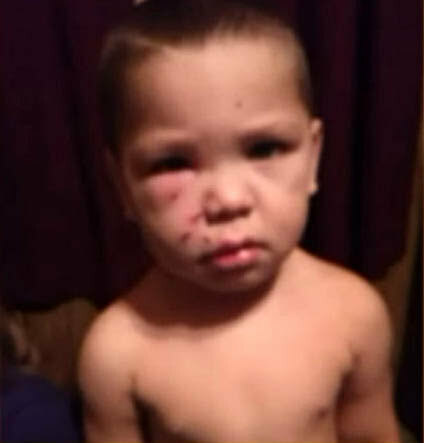 ARKANSAS -- A woman's 2-year-old son was attacked by a dog, and now she is begging police to have the dog put down. 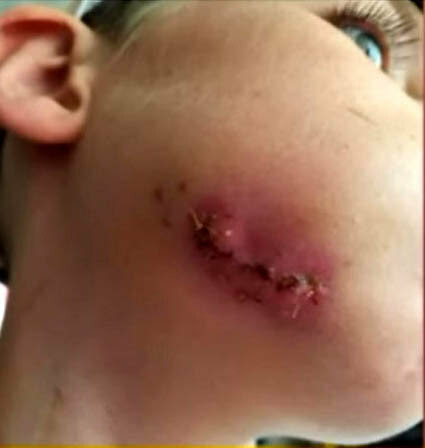 "It's not the dog's fault," Whittany Letourneau said. "It's the owner's fault." 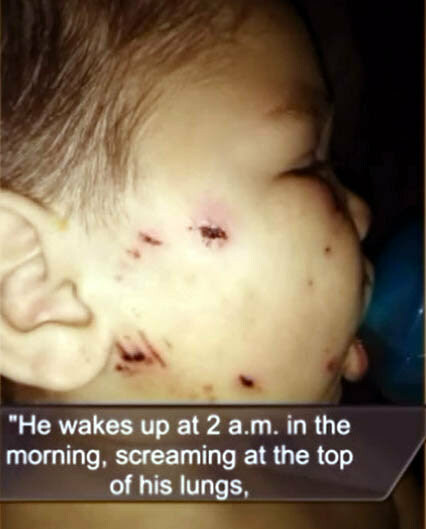 Letourneau sent 5NEWS several photos of her son's injuries. 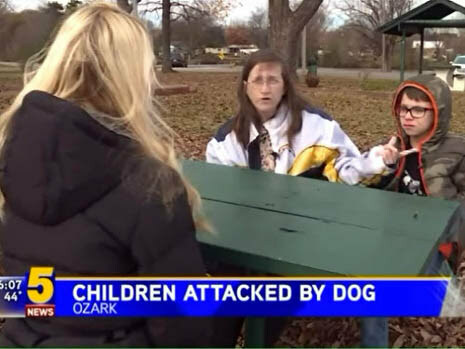 She said he has 12 bite marks on his face, and that the attack happened last Tuesday (Nov. 28) at Aux Arc Park in Ozark. 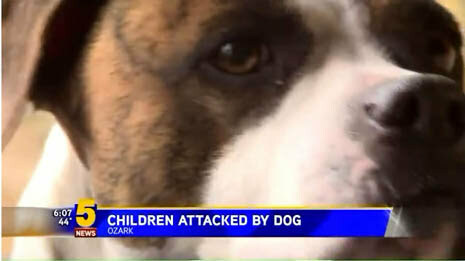 People in town told 5NEWS that this is not the first time this dog has attacked a child. Ozark police said the dog belongs to a homeless woman. 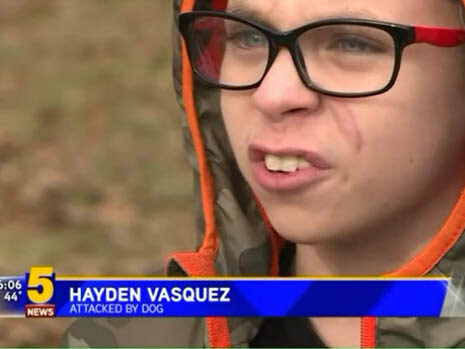 Hayden Vasquez said the same dog ripped into his face back in June when it attacked him. 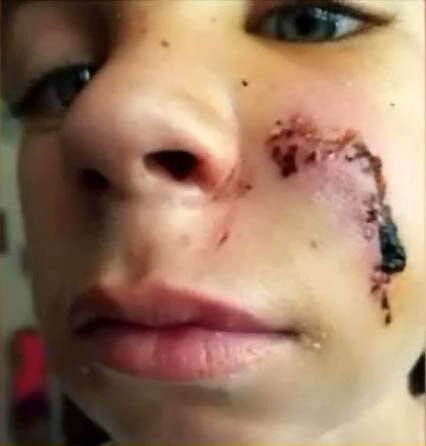 The 12-year-old was playing outside at an apartment complex, and said the attack left him with cuts on his left cheek and right jawline. "If people ever see her, they may need to watch out because she might get that dog back again," Vasquez said. considered an elective and not covered by basic insurance. 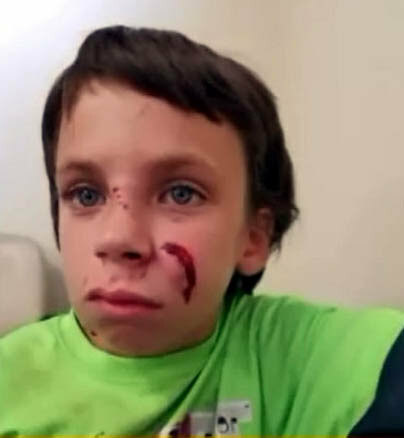 His grandmother, Lori Greene said he had to get 19 stitches. "Nothing has happened to this dog, and it has bit somebody else last week," Greene said. "I'm afraid it's going to end up biting a baby, killing a baby or somebody else, who knows." Letourneau did not want to go on camera, but said over the phone her toddler is traumatized. 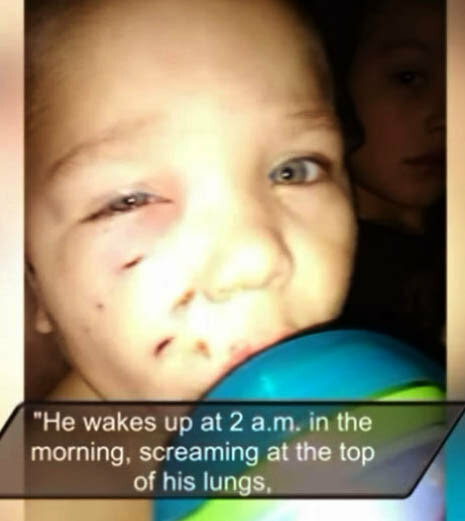 "He wakes up at 2 a.m., screaming at the top of his lungs, 'please mommy, don't let it bite me.' My son loved animals," she said. their own children and grandchildren in danger, would action be taken? ARE AUTHORITIES WAITING UNTIL SOMEONE IS KILLED BY THIS DOG BEFORE THEY TAKE ACTION? Police put the pit bull in quarantine after the attack last week. 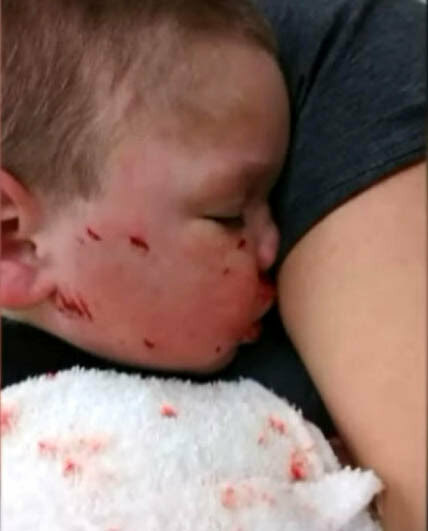 The veterinarian at the animal hospital where the dog is being held tells 5NEWS the dog has not displayed any vicious behavior and said the animal will likely given back to the owner Wednesday (Dec. 6). 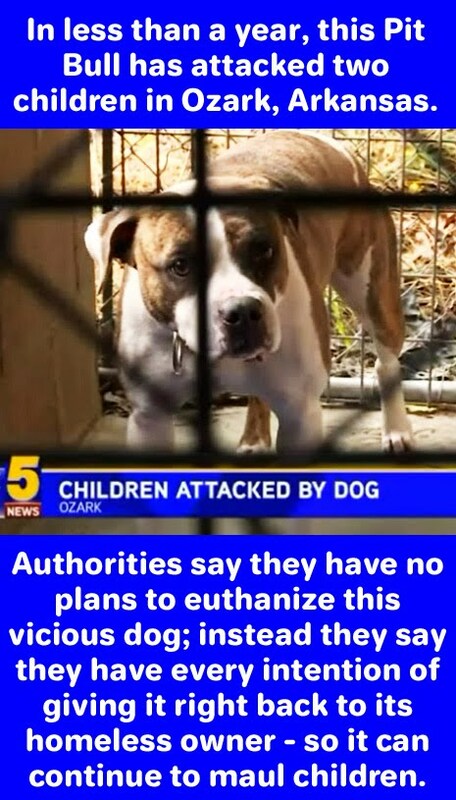 "That dog needs to be taken away from her," Vasquez said. 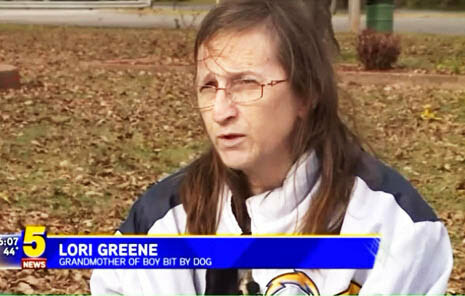 His grandma added, "I think the dog needs to be put down because it's going to end up hurting someone else." 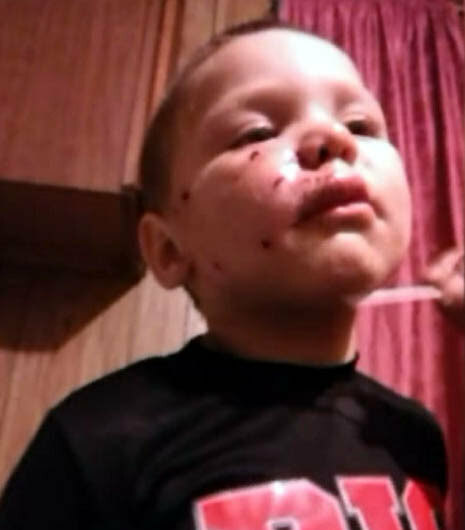 The 2-year-old's mother said she also wants the dog to be put down. 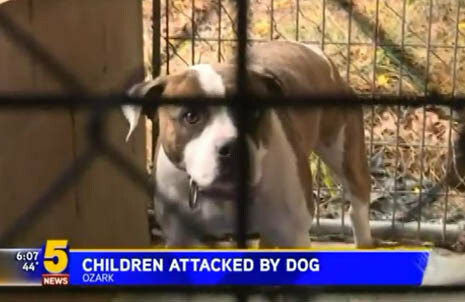 Ozark police said there is a vicious dog ordinance and leash law in place. If a dog is deemed vicious, it is not allowed to live in city limits. Note: This is called NIMBY (not in my back yard). It's when local towns and cities ban a vicious dog from its jurisdiction, effectively dumping it into someone else's community. Rarely does the dog come with restrictions - meaning no one is required to notify anyone that this vicious dog is coming to live in their community, their neighborhood, next door to them. And when this same dog attacks, no one knows that it has a history of attacking and they chalk it up to 'Oh any dog can bite. This dog has NO KNOWN HISTORY with us'. The Ozark City Council will consider stricter pet ordinances in early 2018.